FastMed offers on-site EKG (electrocardiogram) and lab services for quick analysis of your heart. If a problem is suspected, we can evaluate your heart quickly and effectively on site, with no appointment necessary. Our qualified medical staff will provide immediate care and can also refer you to an appropriate specialist, if needed. We work closely with your primary care provider (PCP), if you have one, to ensure that your ongoing medical needs are met. With your permission, and under strict privacy rules, we can share your electronic medical records and EKG results with all appropriate providers. At FastMed, we understand that medical problems don’t always occur during normal business hours. For this reason, we’re open extended hours 7 days a week, 365 days a year, including holidays. Let us provide fast diagnostic services for your injury, illness, or accident. Walk-ins are welcome, and online check-in is available for your convenience. Get the immediate care you need without the additional expense of going to a hospital emergency room or waiting for an appointment with a conventional doctor. An EKG, also referred to as an ECG, is an electrocardiogram, a measurement of the heart’s natural electrical activity. It is sometimes confused with an echocardiogram. Unlike the echocardiogram, which creates a visual representation of your heart using sound waves, an EKG specifically measures the electrical activity of the heartbeat. With each beat of your heart, an electrical wave passes through the heart muscle causing it to contract and pump blood. An EKG or ECG measures the timing of this activity in the top and lower heart chambers. There are two kinds of information an electrocardiogram reveals. One is the length of time the electrical wave takes to pass through the heart. If the waves pass too quickly, too slowly, or irregularly, it may indicate a problem. The second measurement is the amount of electrical activity that passes through the heart muscle. This helps a doctor or medical examiner determine whether the heart may be too large or overworked in some way. A normal EKG generally indicates that your heart is functioning normally and suggests your problem may lie elsewhere. An abnormal EKG or ECG can mean many things. Sometimes these abnormalities are simply a normal variation of your heart rhythm. Other times, they can signal an imminent heart attack. There are also a number of possibilities between these two extremes. The FastMed providers are specifically trained to recognize the variations in images of an EKG or ECG, as well as any abnormalities they may suggest. The images or tracings can then be used to determine the best course of treatment. If your medical provider recommends that you should have an EKG test performed, it is likely because there is a suspected problem with the electrical activity of your heart. If you’ve complained of chest pain or palpitations, for example, your FastMed provider will want to check for symptoms of heart disease, particularly if you show additional symptoms such as shortness of breath, dizziness, or fainting. 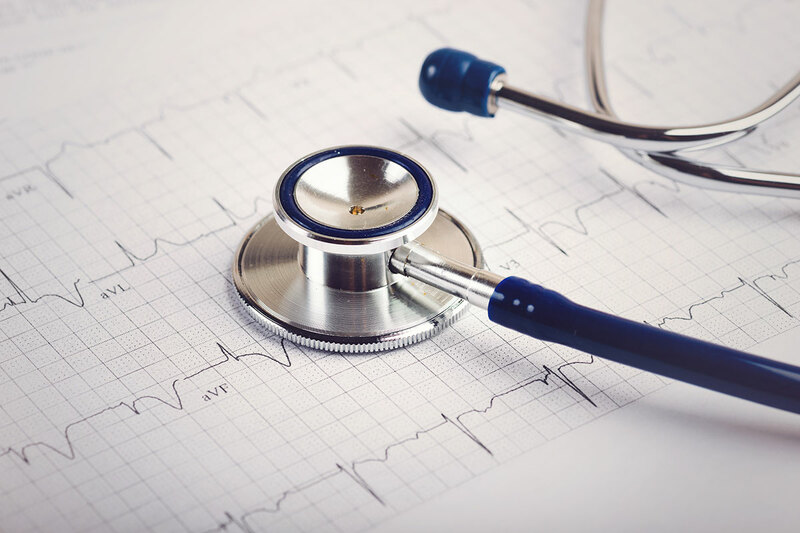 Other reasons for an EKG include checking the thickness of the heart wall chambers or verifying whether certain medications are either working or causing possible side effects. If you have a pacemaker or other implant, an EKG may help to determine if they are functioning correctly. Where to get an EKG done? If you have a condition that requires an electrocardiogram, FastMed Urgent Care can provide your EKG on site. Our medical staff will help you receive the care you need, when you need it. Unlike most traditional medical offices, we’re open early and late, holidays, and weekends, to assure you get quality medical care conveniently and affordably. Our professional medical staff can provide evaluations, on-site lab services, prescription medications, or other care as may be required. We can also refer you to a specialist or get you to the hospital, if needed. In short, we’re staffed and equipped for just these types of non-life-threatening medical concerns. No appointment is necessary. If preferred, for convenience, you can check in online in advance. If you suspect you may be having a heart attack or other life-threatening emergency, call 911 immediately.